Investwell Group is a building company completing medium to large scale renovation projects and new home construction in the Brisbane region. We are specialists in renovations including house extensions, second story additions, house raise and build under as well as internal remodeling. We are experienced and licensed builders with over 17 years experience in the Building Industry. We work with clients at all stages of the building process from concept through to completion ensuring a smooth journey along the way. Wade excels in problem solving and works hard with our clients to ensure any challenges are overcome in the design and building stages. As the Director and Builder for Investwell group, Wade take a hands on approach when working with our clients throughout the build process, personally overseeing each project. Investwell Group and our team of experienced sub contractors takes pride in the work that we complete and the "business" friendship we develop with our clients along the way. Customer satisfaction is our number one priority and we want to ensure we exceed your expectations. Our portfolio of completed projects speaks for itself and the wonderful testimonials we receive from our happy clients at the end of their project. Building and renovating is our passion, we love what we do! 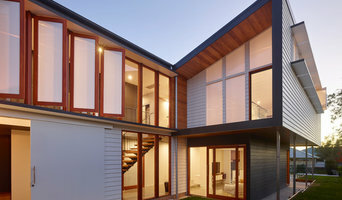 BSM Building is a family-owned and operated building business based in Brisbane specialising in architectural and custom-built new homes, house renovations and extensions, and selected commercial work. Established in 2008, director and licensed Builder Ben Moore has more than 20 years’ experience in carpentry, cabinet making, landscaping and building. As an experienced furniture maker, Ben understands the finer details of carpentry, while his landscaping experience means he can offer expert advice on all aspects of creating your dream home, both inside and out. BSM Building uses the same team of highly qualified sub-contractors for each job ensuring strong relationships, seamless communication, and consistency from everyone. As our director, Ben delivers hands-on management of each project and works closely with every member of our team to ensure the highest quality build, best overall experience, and optimal result for his clients. We believe effective personal relationships are the basis for a successful project. That’s why at BSM Building we’ll communicate with you regularly and openly, encourage you to have an active role in your building project, and listen to what you say. Our collaborative approach means you and your family can enjoy the peace of mind you deserve while we deliver your building project. 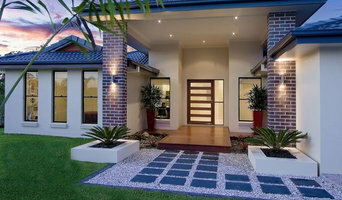 Brisbane's Leading Home Builder and Renovation Specialist. 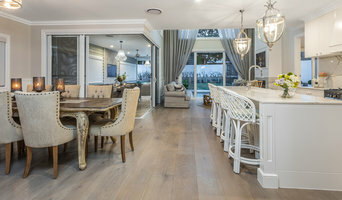 dts builders is a custom builder that offers outstanding workmanship and reliability to their clients and projects throughout Brisbane and the Gold Coast. With over 30 years’ experience in the building and construction industry our clients are guaranteed a stress free building process and a beautiful, functioning home. Our passion is specialising in custom designed homes and boutique developments. Our experience ensures that we provide our clients with peace of mind by obtaining all the necessary approvals and producing a stunning home, stress free. Building a home is one of the biggest investments of your life and we understand this, that's why we commit to fixed price contracts with our clients, giving them piece of mind that their project will be delivered on time and budget. We step you through the process so you are fully informed at every stage. Nothing deviates from the price unless you choose to make changes. If you are thinking about taking the step to build your next home, contact us today, we'd love the opportunity to work with you. We are an award winning residential builder based in Brisbane, Queensland, Australia. We specialise in high end new homes and renovations. You can choose Lindon Homes for your new project, knowing we’ve been here building beautiful homes across South East Queensland for over 32 years. Lindon Homes is a local family business, and proud to have some of the best staff and trades in the industry to all help build your new home. Flascon Construction Group is a luxury home builder in South East Queensland focused on exceptional craftsmanship, client satisfaction and a seamless building experience. MGL is a Brisbane-based building, renovation and landscape company. We have been delivering a range of projects for residential and commercial clients since early 2009. Matt Larder, director at MGL, is the main point of contact and site manager for every project. Matt takes a hands-on approach and is involved and present for every step of your project, from concepts, to the construction then completion and handover. We have long-standing relationships with all professionals that are required to work on site. Our architects, engineers, designers, subcontractors and MGL employees all have excellent reputations and will ensure a hassle free work site that is delivered to the highest standards. We pride ourselves on excellence in communication, service, workmanship and product. Customer satisfaction is vital to us. We understand that each project requires a unique approach to bring a client’s vision to life and we ensure we deliver our sites on time and within budget. Whether you’re looking for residential or commercial construction, renovation, extension with a landscape package, you can rely on MGL to deliver an excellent project that you’ll love. Family owned since its inception and going strong since 1972, Ownit Homes has built many beautiful single storey and double storey homes for families just like yours, in various superb locations – a passion which still drives the company today. Ownit Homes are based in Queensland and build across Brisbane Gold Coast. They continue to build an enviable reputation for personal service and attention to quality – never resting on their laurels. Founded by brothers Peter and Paul Ganim, the next generation Scott and Brad Ganim have taken over the helm and look forward to welcoming you to the Ownit Homes family where you’ll be treated to a unique, stress-free house building experience resulting in the home of your dreams. As a family-run business it is a source of pride that we are renowned for our high level of personal customer care and service. We are delighted that, over the years, many customers have been so thrilled with Ownit Homes that they have built their third and sometimes fourth family home with us. When turning your key for the first time in your new home you will feel a rush of excitement. That is what comes when building with Bullfrog Constructions. Our team has over 30 years combined industry experience. Our builders have the knowledge that you need to construct your new home or investment with confidence. We pride ourselves on quality builds with personal service. This distinguishes us from our competitors. Axcis Build is a Brisbane builder specialising in residential and commercial building work. Owners Kel Harvey and Michael Holzheimer have assembled an experienced team to bring excellent workmanship, quality service and value for money for all scopes of building projects. Our extensive experience and exposure in the building industry has allowed us to gain specialist skills and abilities to manage and deliver a diverse range of projects. These projects have involved varying types and scales of construction, levels of difficulty and budget constraints. Axcis Build are also accredited with the Master Builders Association and are fully licenced and insured. QBCC Licence Number: 1253614 Master Builders Licence Number: 64807 As your local Brisbane builder, we look forward to hearing from you to discuss your next home renovation. We offer design and construction services that can take you from your initial idea through to drafting plans, building approvals and construction of your ideal home. We have a passion for sustainable housing and will work with you to offer building solutions that suit your lifestyle and budget needs. Our recent projects have been in Brisbane, Ipswich and the Sunshine Coast. 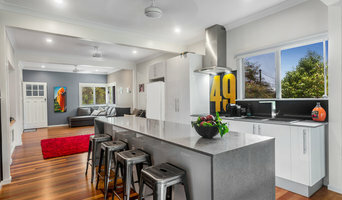 Gerald and Jane from Smith & Sons Capalaba are a dynamic pair who, with the help of their team, assist clients living in South Brisbane to realise the vision they have for their homes by transforming them into exactly what the client requires. Smith and Sons are experts in all types of renovations and extensions from smaller jobs to full home makeovers - and are a team you can trust to get your job done right the first time - on time and to budget. WHO ARE WE? We are the "Little big builders", Big enough to deliver and small enough to care about it. Mint Homes & Renovations is a friendly, family run business located in Ashgrove, with a focus on making living spaces for people to embrace. We service the whole of Brisbane, Sunshine Coast and down to Byron Bay, with a focus on the North western and Inner city suburbs. We provide services for all aspects of domestic, commercial and industrial building. OUR SERVICES: Our specialty services include: - Specialist renovations and modifications - New home building - Architectural builds - All residential building services, including: - Decking - Kitchen renovations - Bathroom renovations - Repair and rectification works - Flooring - Decking - Outdoor living spaces - Office fit-outs ABOUT US: With more than 20 years experience in the building industry, including 10 years in Northern New South Wales on high-end architectural style projects, Julian Russell from Mint Homes & Renovations has the integrity and ability to provide you with the living space you need and desire. Having taken a hiatus of several years into the commercial construction industry, Julian has returned to the fold of the building industry he loves with the launch of Mint Homes & Renovations in 2016. With a focus on sustainability and affordability, Mint Homes & Renovations aims to bring a fresh approach to your building project, a great eye for design, and a willingness to listen to your needs so we can achieve the best project outcome for you. LICENCES/PROFESSIONAL MEMBERSHIPS: QBCC Lic no: 1212269 Member of the Housing Industry Association All work guaranteed and fully insured, including public liability insurance. Contact us to chat about how we can help you improve your living space today! Lite beroende på vilket hus man vill ha och hur det ska se ut är det mer eller mindre svårt att skissa upp det själv. Idag väljer många att bygga passivhus vilket är en samling byggtekniker för att skapa energisnålahus, här kan det själv vara svårt att komma upp med rätt konstruktion. Man behöver ta hänsyn till tomtgränser vilket görs genom lantmäteri, byggteknik och hur man faktiskt bygger ett hus från grunden när man ritar upp sitt hus. Därför kan det vara smart att använda sig av en byggingenjör eller fritidshustillverkare i Brisbane för att få till ett stabilt och snyggt hus. Då kan man själv fokusera på bygganmälan och annat pappersarbete kring bygget. Tar man hjälp kan man dessutom få ett riktigt fint arkitekthus. Arkitektritade hus blir ofta fantastiska och med många kreativa lösningar. Hur ska man välja hustillverkare i Brisbane? Som tur var har vi många hustillverkare i Brisbane, QLD, AU att välja mellan. Men visst kan det medföra svårigheter. Bestäm dig för vilken typ av hus du vill bygga. Är det ett lösvirekshus eller nollenergihus? Man bör även fundera över budget. Letar man efter billiga hustillverkare måste man vara på det klara om vad som kan levereras. Priset bör inte gå före funktion och kvalitet. Är man ute efter ett specialritat hus ska man vara medveten om att arkitektritade villor generellt brukar dra iväg i pris.